Beyond Skyrim, the extremely ambitious multi-mod project that aims to recreate all of the other provinces of Tamriel via mods, received the first video developer diary on Christmas day. The goal, according to the narrator, is to regularly update the many followers of Beyond Skyrim on the progress that’s being made on all the various individual projects. Almost all of the provinces were showcased in new bits of footage, with the notable exception of Black Marsh, for which the developers were only able to provide concept art. In case you are wondering, no release dates were even hinted at. 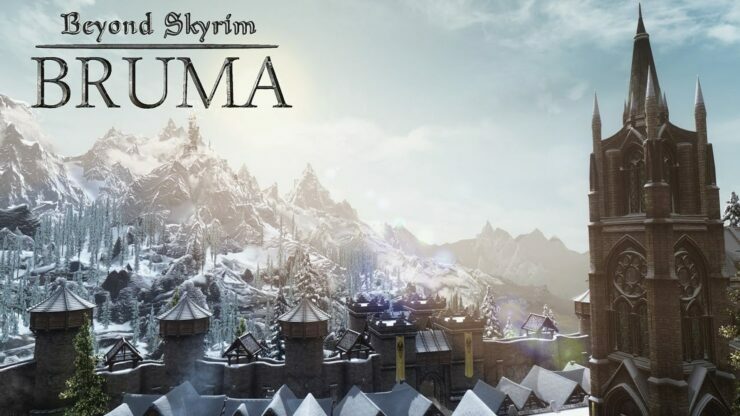 It may, therefore, be quite a while before any of the Beyond Skyrim projects come to fruition; then again, The Elder Scrolls VI is expected to be still five to six years away based on Bethesda’s most recent hints, so these mods should come first anyway. Bring back the Counties of the Empire and its environs. Enjoy the lavish delights of Imperial City or plunge into the depths and discover the secrets of the ancient Ayleids. Explore the legendary streets of Sentinel in Hammerfell, experience the rugged beauty of Orsinium or find adventure in the City of Daggerfall. The team for Iliac Bay is working hard to bring the lands of Hammerfell and High Rock to life. Cross the border into the Aldmeri Dominion, and visit the Khajiiti kingdoms of Anequina and Pelletine, a diverse series of landscapes that ranges from nomad-travelled steppes to tropical rainforest. Undertake a deeply personal, perhaps even spiritual, journey to the deep south of Tamriel as your character gets immersed in the culture and mindset of the Khajiit nation and joins in their fight against an extremely subtle and insidious enemy. The swamps of the southeast are stirring. Cross the border into one of the strangest lands on the surface of Nirn, the home of the Saxhleel, the lizardfolk, and the graveyard of anyone unprepared for the deadly swamps. Black Marsh is a land of alien beauty, populated by a people embittered by millennia of oppression. Help guide them to power and unity, or exploit their divisions for your own gain. The marshes are calling, and through the hard work of a dedicated modding team, you can answer. Journey north into the stormy embrace of the Sea of Ghosts to a land of untold treasure. A land once known only as a whisper. A land called Roscrea. Forget the ills of your past, and the judgements of people you will long to forget. Wipe the slate clean and see for yourself a world frozen in time. Make with haste fair traveller, for the winds of change wait for no soul. Venture to Morrowind, a vast and alien land that has suffered greatly at the hands of fate. Lose yourself in the complicated politics of the plotting Houses of the Dunmer, discover the strange and beautiful life that makes its home in the east, or uncover the secret histories that lie beneath the ash. The shadows of the past reach beyond the Sea of Ghosts. They are hiding dark memories, shrouded in mystery. Do you have the courage to unveil them? Would you risk your life to embark on an adventure into unknown territory? To a place said to be more hostile and desolate than any other? If so, welcome on board, traveler. The expedition awaits.